The Walt Disney Company has announced plans to build two additional cruise ships, each of them showcasing the family entertainment and the superior service that Disney offers. 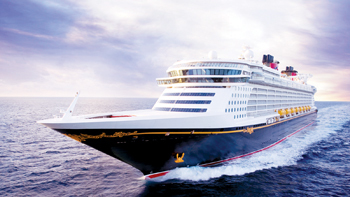 'We pride ourselves on the unforgettable vacation experiences we deliver to our guests each and every day, and the expansion of our Disney fleet will allow us to create even more magical memories for families at sea and in incredible cruise destinations around the world,' said Robert A Iger, chairman and chief executive officer, The Walt Disney Company. Each new ship will be approximately 135,000 gross tonnes, slightly larger than the newest Disney Cruise Line ships, the Disney Dream and Disney Fantasy, and each is currently planned to include about 1,250 guest staterooms. While design plans, ship names and itineraries are still in development, the Walt Disney Imagineering team is already dreaming up exciting new ways to create the world’s most magical oceangoing adventures, a statement said. 'The expansion of Disney Cruise Line only adds to our excitement for the unprecedented growth taking place across our vacation destinations, from new Star Wars experiences coming to the Walt Disney World and Disneyland resorts to the 25th anniversary of Disneyland Paris and the grand opening of our newest park, Shanghai Disney Resort,' said Bob Chapek, chairman, Walt Disney Parks and Resorts.